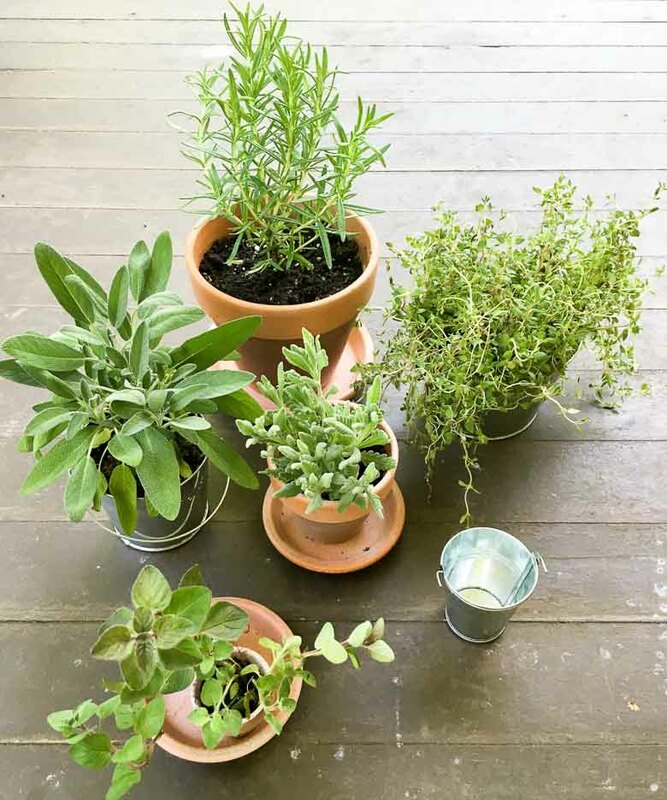 And now for something completely different: easy potted herb centerpieces for your next big event. In other words, food on the table that’s not for eating. What? Why? My first inclination is to feel about this topic the way I used to feel as a kid about erasers that smelled like cupcakes: how DARE you? How dare you make something that seems like food but isn’t allowed to get in my belly. What kind of monster are you, sir or madam? But sometimes you have to stop and think and remember that: (a) you’re turning 40 in September and (b) honestly, you could probably sneak a little sprig of one of these into your mouth without causing too much of a fuss, depending on the crowd and (c) in any case, these herbs are for eating eventually. My wonderful oldest friend Dina (friendship est. 1983!) got married a few weeks ago — more to come on our trip to Colorado for the wedding one day soon. Even though my live plant record is GRIM at best, I volunteered to put together the centerpieces for the Not a Shower. Each table had a cluster of different sized pots, some galvanized metal and some terra cotta sprayed with matte white spray paint to look slightly aged. I filled them with rosemary, thyme, sage, lavender and oregano and put a tea light candle (not pictured) in the smallest galvanized pot. At the end of the party, the guests each took a pot or two home as party favors. I promptly killed mine of course, but the idea is that they could live on as a delicious reminder of the event. Flower pots and saucers ranging from 1? to 6? diameter. 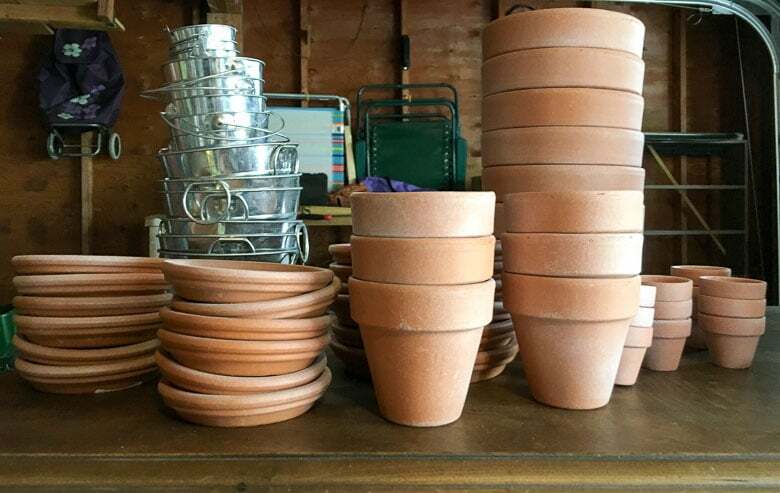 I got plain terra cotta pots and galvanized pots and buckets all from the A.C. Moore floral section, and they weren’t expensive. Buy enough that there’s one pot for each guest plus a handful of extras. 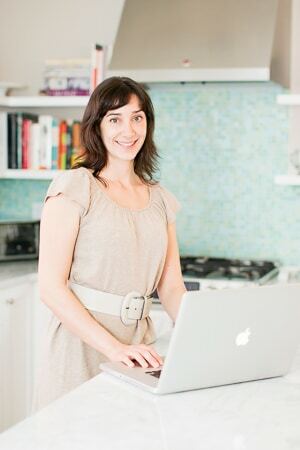 Make sure to think through how many tables there will be and create an interesting looking cluster with varying heights and diameters for each table. I opted to create basically the same arrangement on each table so I didn’t break my brain trying to plan it all, but you don’t have to. 4? and 6? 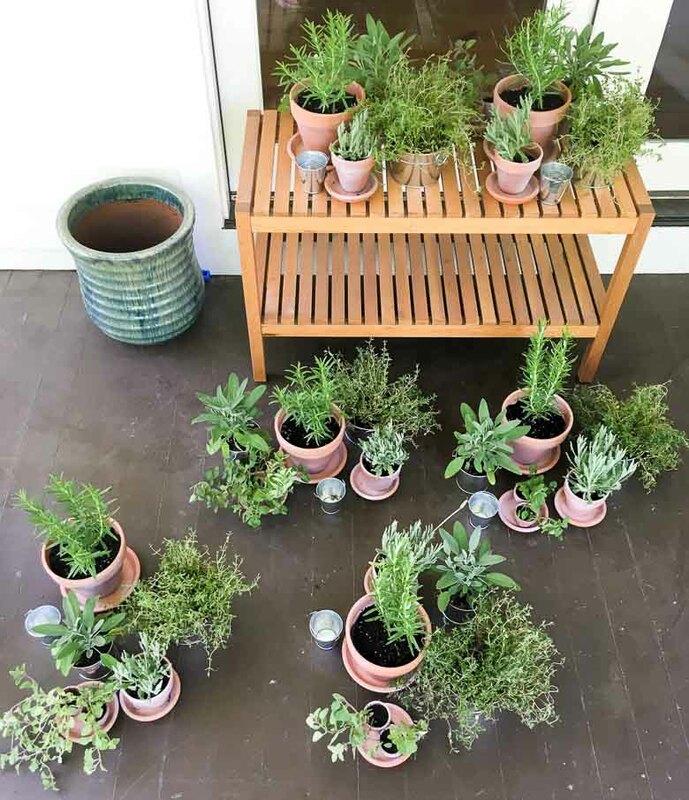 potted herbs from the garden center, some of which you’ll keep intact in the larger pots, and some of which you’ll need to split, so think about that when you’re choosing. Varying heights, colors, shapes and general vibes (flowy or pokey?) will make it look interesting, if not amazing. Matte white spray paint, also from A.C. Moore. I used it to put a thin, uneven layer of white here and there on the terra cotta pots. It makes them look vaguely like you’ve aged them in your garden for a month or two. This sounds like more of an ordeal than it is. It took 10 minutes, and the paint dries pretty much instantly. I’m not going to give you step by step instructions, because I don’t know anything about proper plant potting, and you’ll know everything I know just by looking at the photos. Just go nuts, basically. Try to honor your special guest(s) by going exactly as nuts as she or he or they generally do in real life. That’s when you’ll know you’ve nailed it. Or not — I obviously have no idea. Have fun and see you soon.